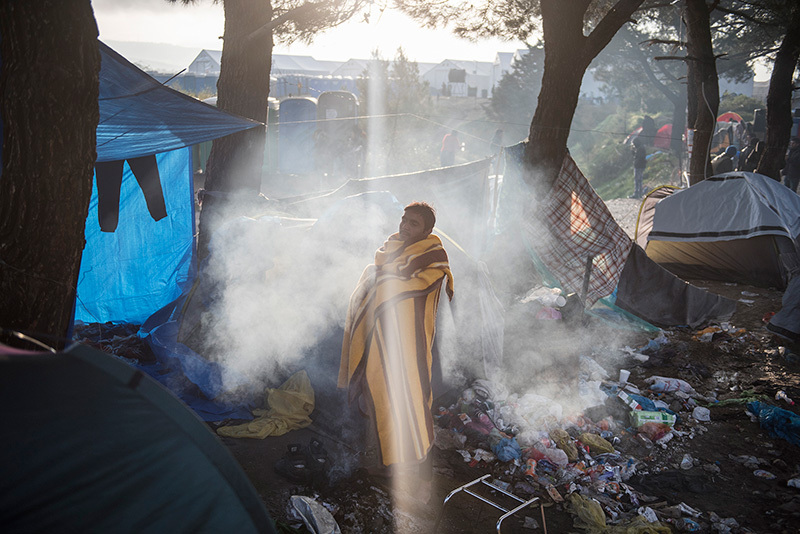 2015 will be remembered, as the year of the refugee crisis peak. Greece, as a result of its geographic position, was in the focus of global concern, and within a short time, it was asked to manage, all refugee and migration flows coming from the Middle East and Asia. All these people coming through the islands to Greece, streamed to the small border village of Idomeni, passing through a two meter gap in the territory of FYROM, in order to continue their way to their final goal, which was the Northern Europe. These six images describe the situation that prevailed in Idomeni, from August 2015 to December of the same year, the first month where the European Union expressed her intention to put a limit in order to reduce the refugee flows.